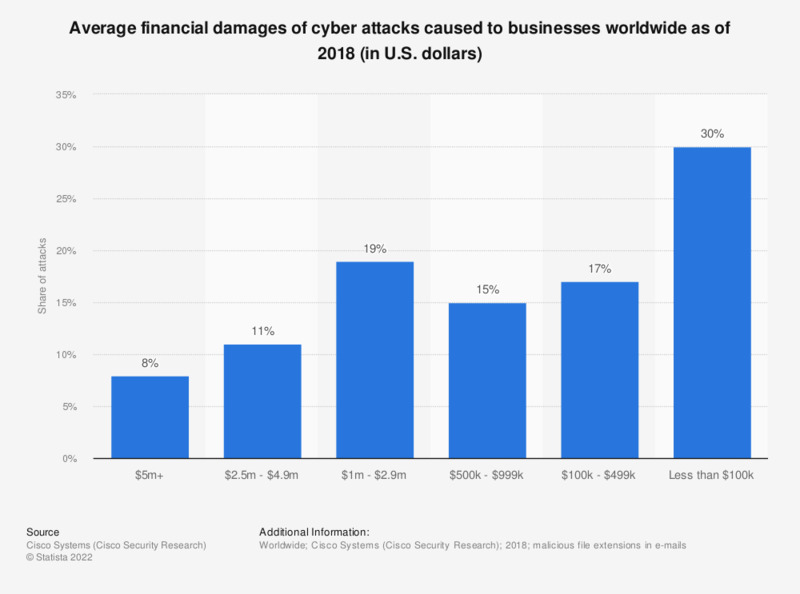 This statistic presents the average financial damages of cyber attacks caused to businesses worldwide as of April 2018. As of the measured period, it was found that 30 percent of cyber attacks caused less than 100,000 U.S. dollars in company damages. However, 53 percent of attacks caused financial damages of at least 500,000 U.S. dollars.